One of the worlds recognized high risk industrial environments are the offshore petrochemical platforms. In the past several years we have seen the number of refinery fires, both offshore and onshore, remain unchanged. This is despite the enormous investments being made since the Texas City Disaster, and more recently the Macondo (Gulf of Mexico) disaster. The concept of High Reliability Organizing (HRO) is increasingly being recognised as a key technology to embed within an organizations underlying Safety Culture. If you wish to do all that you can to "disaster proof" your operations then you really do need to consider embedding the five hallmarks of HRO within all levels of the business. TransformationalSafety.Com has provided high level technical support to operations around the world in preperation for the HRO improvement journey. Just some of the locations where we have supported HRO are South Africa, Egypt, India, Australia, amongst others. We have also developed one of the worlds simplest, yet powerful, HRO readiness diagnsotic tools. If you would like a copy just click here. TransformationalSafety.Com is one of the recognized leaders within the global safety culture and leadership communities. We were amongst the first to recognise, and speak internationally, about the very real world results if one had a leadership culture grounded within Transformational Leadership (particularly the work of the late Professor Bernie Bass and Professor Bruce Avolio) and how that might influence safety outcomes. Indeed the term "Transformational Safety" was first coined by David G Broadbent (CEO - Transformational Safety.Com) at the XXIVth International Congress of Psychology held in Beijing, China. 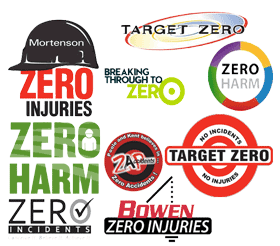 More recently our creation of The Take a Second Look program continues to place TransformationalSafety.Com at the forefront of empirically based culture aware safety interventions. Take a Second Look was originally designed as a 1-2 hour presentation, which was described as being entertaining, creative, highly participative, and above all, thought provoking. During a visit to South Africa, participants were so impressed, and enlightened, about the intricacies of human error that we received numerous requests to formalize a more intensive structured intervention around the metaphor of Take a Second Look. In Saudi Arabia one refinery manager went so far as to suggest everyone in Aramco should participate in the Take a Second Look workshop. Take a Second Look has now evolved to be available in the original 1-2 hr format right through to a highly participative 2 day developmental experience. Click here to see more. For over twenty years now almost all investigations into major accidents have determined that a failed safety culture has been amongst the most significant contributors to the disaster occurring. Just some examples where this has been the case are the BP Texas City refinery explosion (15 deaths), the Deep-water Horizon rig explosion (11 deaths), the Upper Big Branch mining disaster (29 deaths), the Pike River explosion (29 deaths), the Santiago de Compostela train crash (79 deaths), the Soma mine disaster (301 deaths), and numerous others. In all of these accidents failed Safety Culture is described as the key culprit. At the same time very little is discussed with regard to methods/strategies that the business can put in place to even gain an understanding as to what the current Safety Culture even looks like. TransformationalSafety.Com has developed a program which powerfully partners with participants towards a scientific understanding of Safety Culture, how to give it a “face”, what needs to happen to encourage/develop resilience, and then how to design intervention strategies that are clearly targeted towards developing an environment that maximises the opportunities for positive and resilient safety culture development. We draw upon the watershed thinking of Karl Weick, Kathlees Sutcliffe, Eric Hollnagel, and many others. The ultimate goal is a Safety Culture that functions to minimise the “bad stuff” happening, whilst at the same time having adaptive technologies in place to maximise resilience and a return to healthy functioning. Click here to view TransformationalSafety.Com's White Paper "What is a Resilient Safety Culture". 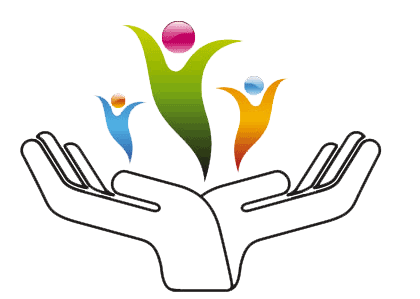 If you would like some information on the "Building a Resilient Safety Culture" developmental workshop click here.